During meetings with clients, Safestack CEO Laura Bell gets asked, ‘Is your boss not available today’? Laura Bell recalls starting her first business at aged 9, when she charged 20 pence (this was in the UK) per 10 minutes for people who wanted to borrow her Barbie dolls. Her customers included boys. She had an epiphany and realised she could charge them more if she lent them her Barbie doll accessories. “The weird in you is going to make you wonderful one day,” says Bell, whose company specialises in application security, education, and training. As the co-author of Agile Application Security, Bell is globally recognised as a leader in the field of information security. 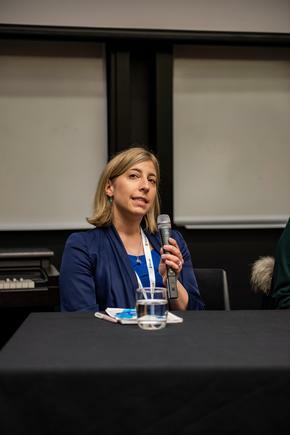 She has spoken at a range of industry events such as BlackHat USA, Velocity, OSCON, Linux Conf AU, and Microsoft TechEd on the subjects of privacy, covert communications, agile security, and security mindset. A recent speaking engagement was closer to home. 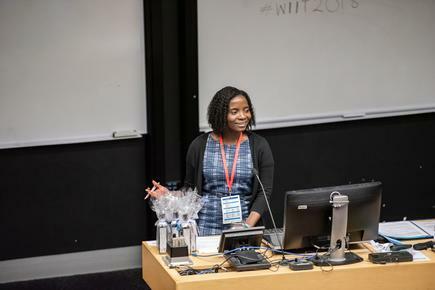 At the Women in IT forum at the University of Auckland, Bell (@lady_nerd on Twitter) traces her roundabout route to working in technology. Prior to IT, she worked in several jobs including a trainee hairdresser, cushion packer, and McDonalds staff. She talks about “taking leaps and scaring” herself along the way. She quit a job when she did not get on well with her boss, and started her own company. At that time, she had a one-year-old daughter and no savings. She pressed on with building her company. “I make things, break things, and make things better,” is the motto she lives by. As she moved to different areas in ICT, she recognised that every time she learned a skill, there was way more she did not know, and there is always someone with more knowledge. “ICT is an amazing tool to have an amazing career,” she says. “It is not about computers, it is about solving problems, it is about creating cars that drive around the city, or creating the latest addictive games. In her office, she made sure they have a ‘rainbow’ team, “a diverse bunch”. She cites the importance of mentoring. One of her mentors was an ex-military officer, who did not care where she was from and taught her how to communicate. “I was 23 and he was able to give me skills I needed,” she shares. This experience has inspired her to also give back by mentoring both women and men. 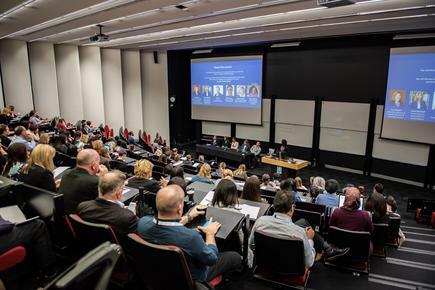 Other speakers at the forum, jointly organised by the ICT teams of the University of Auckland and AUT, share similar experiences of how they got into the sector where women are sorely underrepresented. 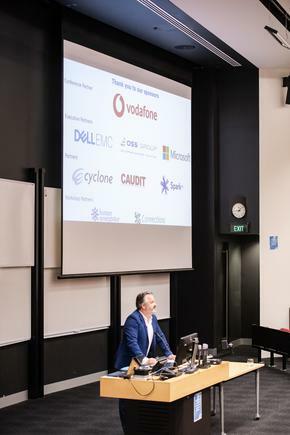 Jason Mangan, director ITS at the University of Auckland, set the context of the forum amidst the reality of continued diversity challenges facing the technology industry. He cites that there are 85 working women to every 100 working men in New Zealand. These figures, however, do not translate to information technology, where less than a quarter (23 per cent) of the workforce are women. 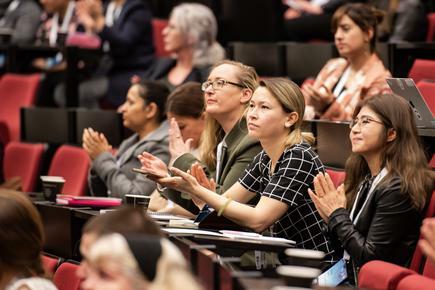 The figures are slightly better across across Australia and New Zealand universities, where females comprise 25 per cent of the ICT teams. 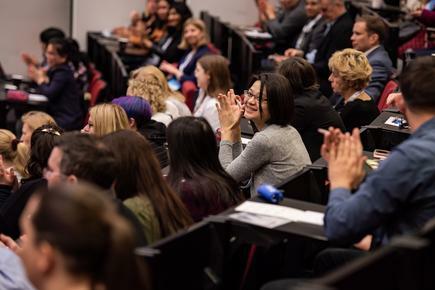 The figures are higher at AUT, where 34 per cent of the ICT team are females; and at the University of Auckland, where females comprise 30 per cent of the ICT team. This, he points out, is a sector which generates 8 per cent of the country’s GDP, comprises 28,000 companies, and employs 5 per cent of the total workforce. He drills further into the imbalance in the sector. 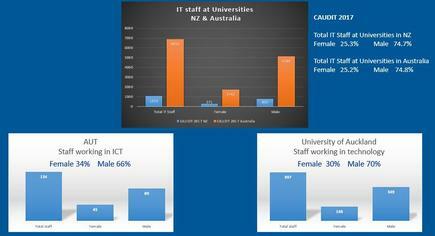 Men, he says, are twice more likely to study ICT, and five times more likely to study engineering. Citing Ministry of Education figures, he says in 2015, 69 per cent of ICT students and 82 per cent of engineering students were male. In addition, of the women who finished a STEM (science, technology and maths) degree, only a third go into STEM-related work. 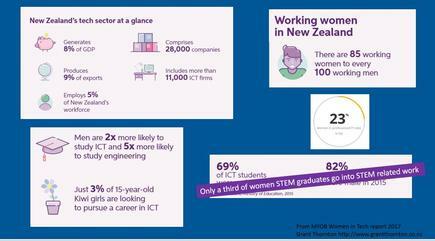 Moreover, only 3 per cent of 15-year-old Kiwi girls are looking to pursue a career in ICT. 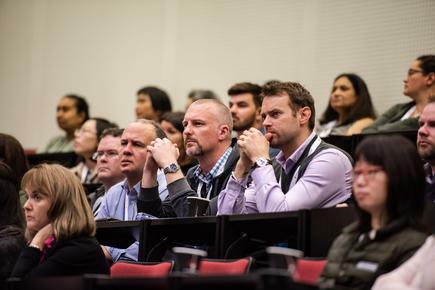 “The conference highlighted the need for the tech industry to really focus on how organisations can truly support diversity, in its broadest sense, in the workplace,” says Liz Gosling, chief information officer at AUT. 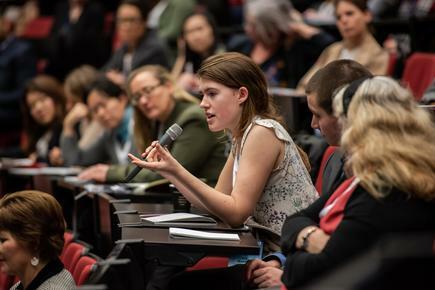 "It is important to hear voices representing diversity in all its forms around tables in our organisations, to help us to deliver what we want to achieve," states Gosling, and this is a message she wants to share with the rest of the industry. 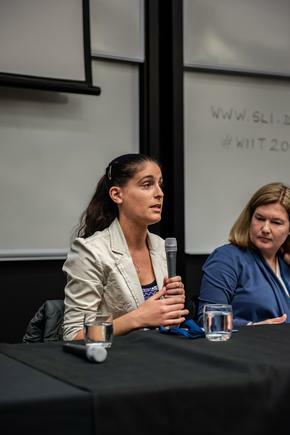 “I work in IT, I’m a millennial, and a woman,” is how Ritia Karati, introduced herself at the forum. 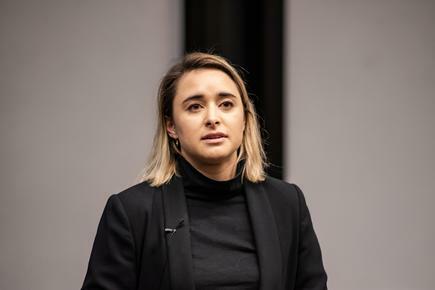 She is sharing her perspective from the generation now entering the workforce, a group one CEO recently described as ‘misunderstood but well meaning’. Her slide defines a ‘millennial’ as one who orders ‘toasted sourdough topped with avocado, crumbled feta, seeds, puffed quinoa, lemon zest, a sprinkle of microgreens, and olive oil, $16’. I am from the ‘avocado generation’, she says, a reference to the business leader who advised young people should stop buying avocado toast if they want to save up for a home. 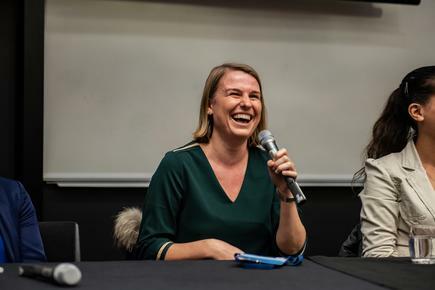 Karati is a commercial account executive at Dell EMC and was also a consultant with Robert Walters, where she worked with businesses in implementing digital and workforce transformation. To managers, she says, the younger generation would like to know where they are going to fit into the organisation. They are asking, can they grow and develop within them, or get a job with them and then go somewhere else? She “grew up in IT”, as her mother also worked in the sector. She recalls dinner conversations included what products are coming in, who is great, or not so great to deal with. Nevertheless, her first job was in IT sales, and continues to thrive in her chosen field. She says innovation and disruption are part of the industry. 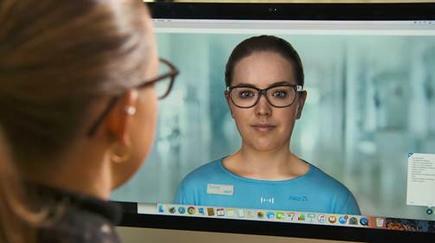 Dr Elinor Swery is involved in making “digital humans” who interact with people. She is solutions architect at Soul Machines, and when she goes to meetings with clients, the latter sometimes assume that just because she is a woman, she will take the notes for the group. Swery says she is fortunate, however, to work with “brilliant people” who celebrate diversity. 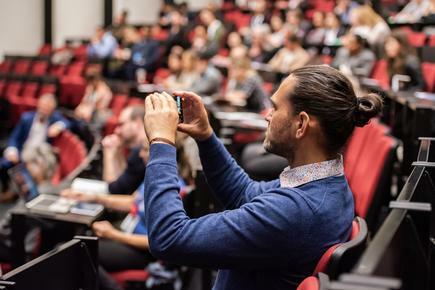 “They don’t wait for other people to introduce themselves, they introduce me as a solutions architect,” says Swery, who has a doctorate in mechanical engineering from the University of Auckland. She adds that when she attends conferences, she always hands out her business cards with the words PhD on it. 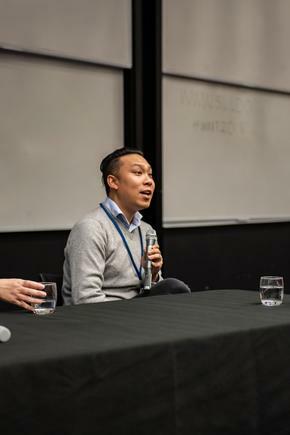 Dan Teo is the sole male member of the panel discussion that included Swery, on how diversity contributes to transformation and innovation in an organisation. His diversity challenge is not related to gender. Teo started as a software engineer and is now director at Radically Consulting. He started his business over a year ago, helping businesses with technology using modern agile thinking. “A lot of my clients don't look like me,” says Teo, who often has to meet with people who are older than him. Every time they go to a meeting, they automatically assume he is a junior member of the team. He spends the first three to five minutes explaining his background. 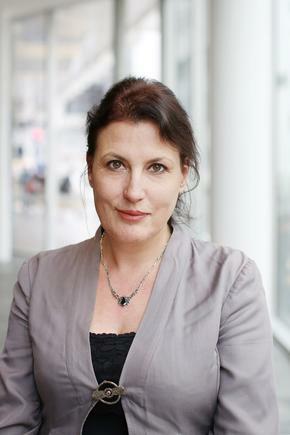 Another panellist, Katrien Pagnaer, national sales manager, Amazon Web Services, says diversity doesn't always mean gender. Pagnaer of AWS says the upside of IT is that it does not matter what you did 10 years ago. “If you want to be in the forefront of what is happening in the world, technology is for you,” she says. Pagnaer cites this fast pace of innovation, however, poses a challenge for staff, like women who took time off for family and are returning to the workforce. “Everything that was hot a year ago is old this year, you have to be on top of it,” she says. She says in this case, women can benefit from a programme that is similar to the idea of helping those in the army who are back from the war zone go back to the workforce. 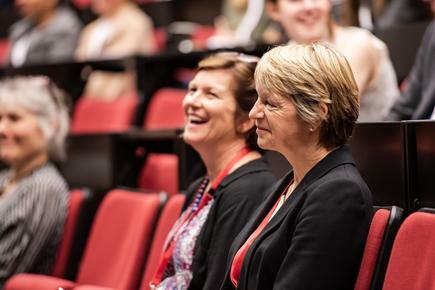 Another panellist, Sue Roberts, university librarian and director of the Libraries and Learning Services at the University of Auckland, also espouses the concept of lifelong learning. 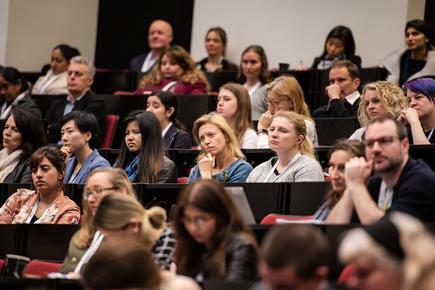 What can we do individually and what can the organisation do to overcome unconscious bias? She sees inclusion and diversity as having everyone making their full contribution to organisations and society. 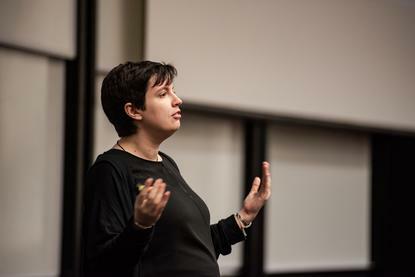 Another panellist, Dr Sarah Marshall, is a lecturer at the AUT School of Computer and Mathematical Sciences. She says in the field of maths and analytics, there is a higher ratio of male to female. “You will see more opportunities out there” when you think this way. 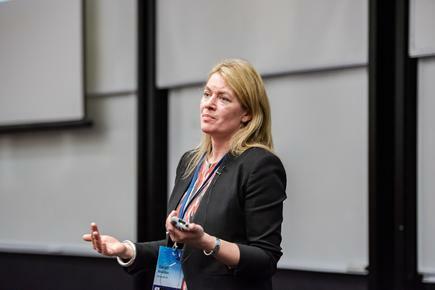 Sarah Bowden says taking on a ‘continuous learning mindset’ has allowed her to flourish in the constantly evolving technology industry. 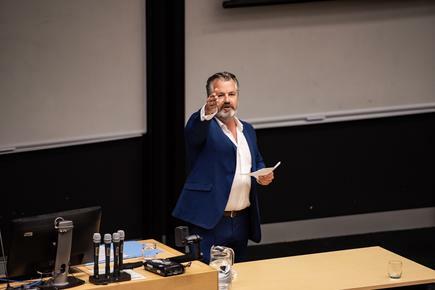 Bowden is small, medium, and corporate business lead at Microsoft New Zealand. She had previously worked at Fuji Xerox, in the accounting section. 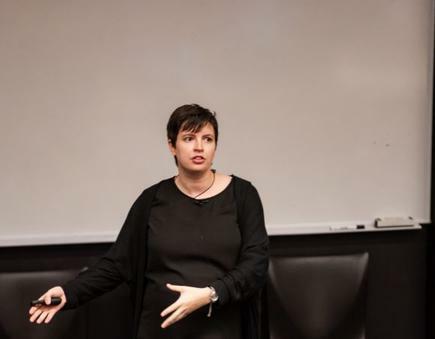 She did a thesis on how sales and marketing teams worked, and was eventually assigned to marketing. After 12 years, she wanted to try something different. “You have got to be scared,” she says, echoing the words of Laura Bell of Safestack on making a career leap. She applied for and got a job at Microsoft. She says today, she manages a division that brings in $300 million revenue. “Just trust your gut, If you fail, [at least] you tried,” says Bowden. Bowden says Microsoft, as a company, has special groups that bring diversity and inclusion in the business. 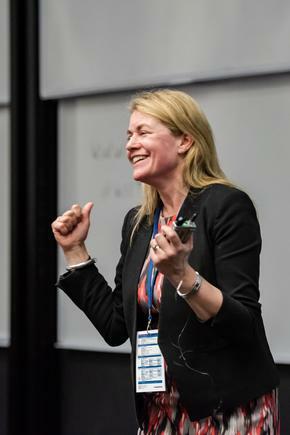 At the same time, she emphasises the importance of taking time to ‘disconnect from the connected world’. She, does, however, provide a great role model for her daughter. 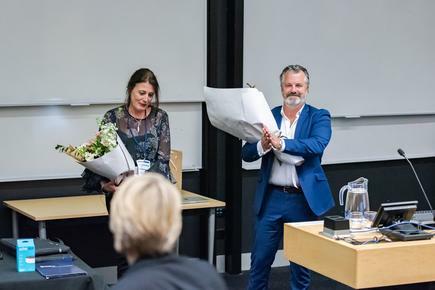 “The conference is a perfect example of how successfully both universities can collaborate towards a very successful end goal - to support women in the IT industry,” says AUT CIO Liz Gosling, with University of Auckland ITS director Jason Mangan, at the end of the one-day forum. 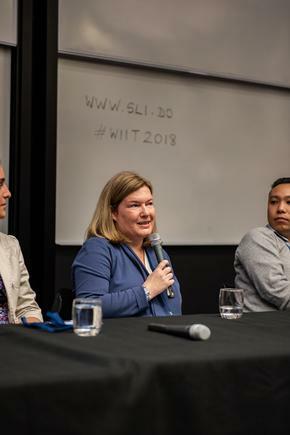 Liz Gosling says AUT and Auckland University plan to hold a women in IT conference annually, and organise smaller events every quarter for IT staff in the tertiary sector.